83 percent of pet parents celebrating Halloween with their pets planning festive pet costumes or accessories; 65 percent will treat their pets to a special gift. SAN DIEGO, Sept. 14, 2016 – Halloween isn’t just for kids and candy-loving grown-ups, as more and more pets are getting in on the spooky holiday fun too. 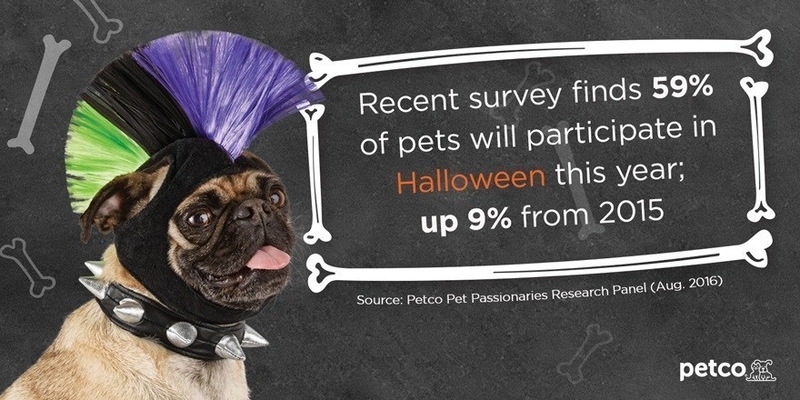 According to a recent Petco survey*, 59 percent of pet parents say their pet will participate in Halloween this year, a 9 percent increase from 2015, with 27 percent of respondents who plan to participate confirming this will be the first year their pets will partake in the Halloween festivities. Pet parents intend to show off the joy they find in the human-animal bond, with 83 percent planning to dress pets head-to-tail inHalloween costumes and accessories, and 65 percent planning to gift their pets with Halloween-themed treats and toys. Petco has these festive pet parents and their pets covered with a fun assortment of pet costumes and accessories – now available at Petco stores nationwide and online at Petco’s “Bootique” – as well as nationwide Halloween-themed events taking place in-store and online throughout October. For the pup looking to express an edgy personality this Halloween, the Rockin’ Dog Mohawk & Collar Set is a perfect fit, while more regal feeling dogs can channel their inner queen with the Marie Dogtoinette Dog Wig. The Carnival Pet Costume is a must for the pup or kitty who wants to cha-cha-cha all night long while begging for treats! Halloween is also the one day sassy felines can show off their true colors with the Devil Cat Costume. For pet parents planning to treat instead of trick, the LED Glow-in-the-Dark Skeleton Ball will provide furry friends with hours of fun, while the Get Batty Ball Cat Toys, Pack of 2 will tickle any cat’s fancy and allow pet parents to engage and bond with their playful feline. Make A Scene: Beginning October 1, and running through October 26, pets and pet parents can participate in Petco’s annual “Make a Scene” Photo Contest on Instagram. Pet parents are encouraged to post photos of their costumed pet in a scene that matches their own costume and their pet’s costume, use the hashtag #HalloweenTogetherContest and follow @petco on Instagram, for a chance to win a $10,000 grand prize. Reptile Rally: Head to your nearest Petco for scales, tails and creepy-crawly Halloween fun with a celebration of reptiles, arachnids and amphibians. A “Reptile Meet and Greet” will help families learn more about these fascinating companions from knowledgeable Petco partners. Enjoy cool giveaways and a “Most BOOtiful Reptile Costume Contest.” Families can share all the fun on their social channels using #ReptileRally. Saturday, October 15, from 1 – 3 p.m. local time at select Petco stores nationwide. Petco’s Halloween Pet Costume Contest: Bring your pet in to strut their stuff at Petco’s Halloween pet costume contests, taking place Saturday, October 22 and 29 at 2 p.m. local time at Petco and Unleashed by Petco stores nationwide. Olympic silver medalist Gus Kenworthy will also be making an appearance at the Union Square Petco store in New York on October 29 to serve as a judge for the contest. At this special event only, the top three winners will receive a special Olympic-inspired medal and a moment to stand proud on a podium wearing their costumes. For additional information on Petco’s Halloween costumes, visit the online Halloween “Bootique” at Petco.com/Halloween, and for more information on in-store events, visit Petco.com/Events. With more than 50 years of service to pet parents, Petco is a leading pet specialty retailer that focuses on nurturing powerful relationships between people and pets. We do this by providing the products, services, advice and experiences that keep pets physically fit, mentally alert, socially engaged and emotionally happy. Everything we do is guided by our vision for Healthier Pets. Happier People. Better World. We operate more than 1,470 Petco and Unleashed by Petco locations across the U.S., Mexico andPuerto Rico; prescription services and pet supplies from the leading veterinary-operated pet product supplier, Drs. 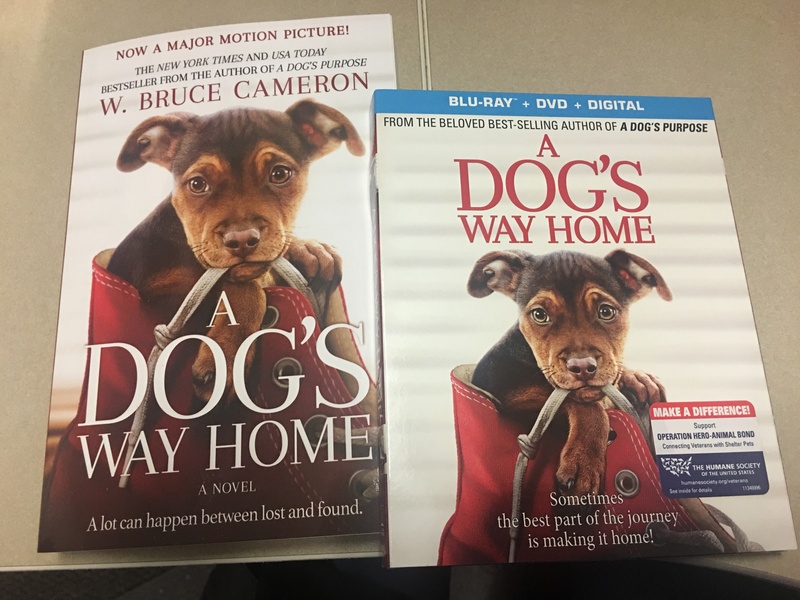 Foster & Smith; and petco.com. The Petco Foundation, an independent nonprofit organization, has invested more than $167 million since it was created in 1999 to help promote and improve the welfare of companion animals. In conjunction with the Foundation, we work with and support thousands of local animal welfare groups across the country and, through in-store adoption events, help find homes for more than 400,000 animals every year.